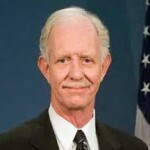 And, Happy 68th Birthday to Captain Chesley Sullenberger who, ten years ago, safely landed a jet airliner in the Hudson River saving all 155 passengers on board and sparing pedestrians on the ground. And, on this day 76 years ago in 1943, the classic film Casablanca premiered on screens across the US. Beloved for the onscreen chemistry between the two lead actors, Humphrey Bogart and Ingrid Bergman, the film won three Academy Awards, including best picture, screenplay, and director – for Michael Curtiz.